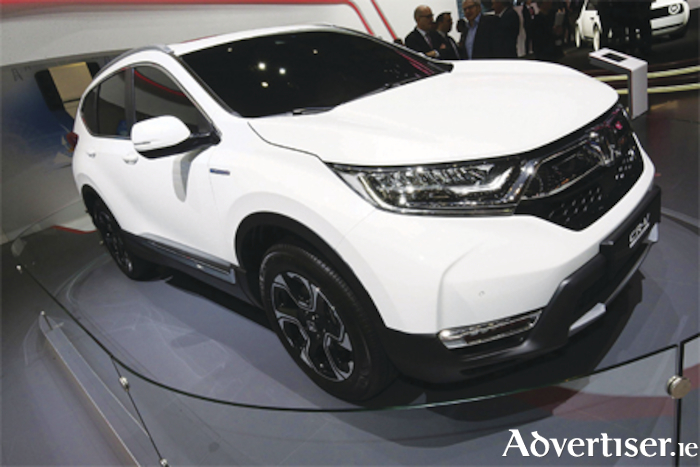 Honda revealed the European production version of the all-new CR-V at the 2018 Geneva Motor Show recently. The new generation of one of the world’s best-selling SUV raises the bar in terms of interior quality, refinement and spaciousness, including, for the first time, the option of seven seats on petrol models. Thinner A-pillars, sculpted front and rear bumpers, and under-engine and under-floor covers all help to make the new CR-V one of the most aerodynamically efficient vehicles in its class. It also incorporates Honda’s 'Active Shutter Grille' system, which further improves fuel efficiency. The new interior design incorporates a horizontal emphasis to the dashboard layout to highlight the more spacious cabin, by accentuating the feeling of width and conveying a sense of strength. The dashboard features two seven-inch displays, while the layout of controls has been rationalised with a simple cluster for air-conditioning management located beneath the central touchscreen. For the first time ever, Honda hybrid technology will be offered in an SUV for Europe. The all-new CR-V will be available with Honda’s Intelligent 'Multi Mode Drive' (i-MMD ) hybrid system, comprising a 2.0 litre i-VTEC Atkinson cycle petrol engine and two electric motors. The i-MMD system does not use a conventional transmission. Instead, a more compact unit has a single fixed-gear ratio, to create a direct connection between moving components and a smoother transfer of torque. The petrol and hybrid powertrains are front-wheel drive as standard, but both can be specified with Honda’s latest all-wheel drive technology - ‘Real Time AWD with Intelligent Control System’ - which gives the CR-V genuine all-terrain capability. First deliveries of Honda CR-V fitted with the 1.5-litre VTEC Turbo petrol engine are expected in autumn this year with hybrid models following early in 2019.